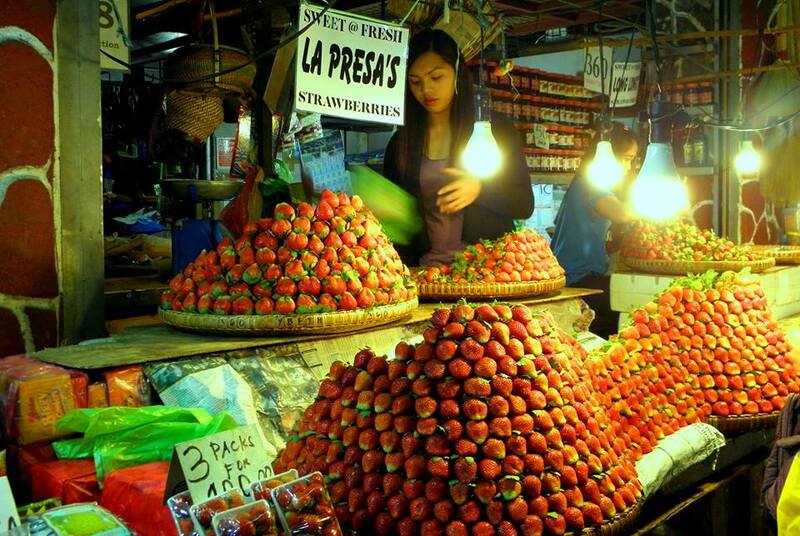 It's all systems go for this year's edition of the Strawberry Festival in La Trinidad, Benguet. 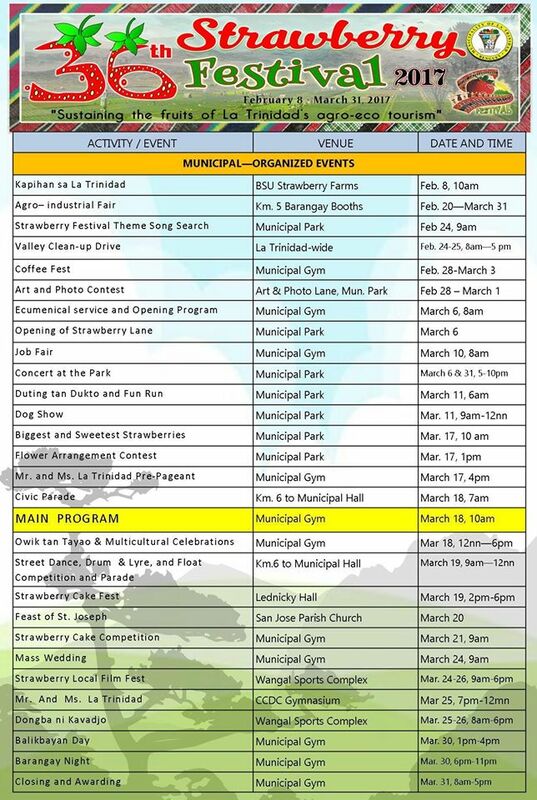 The town has dozens of events lined up for both locals and visiting tourists. 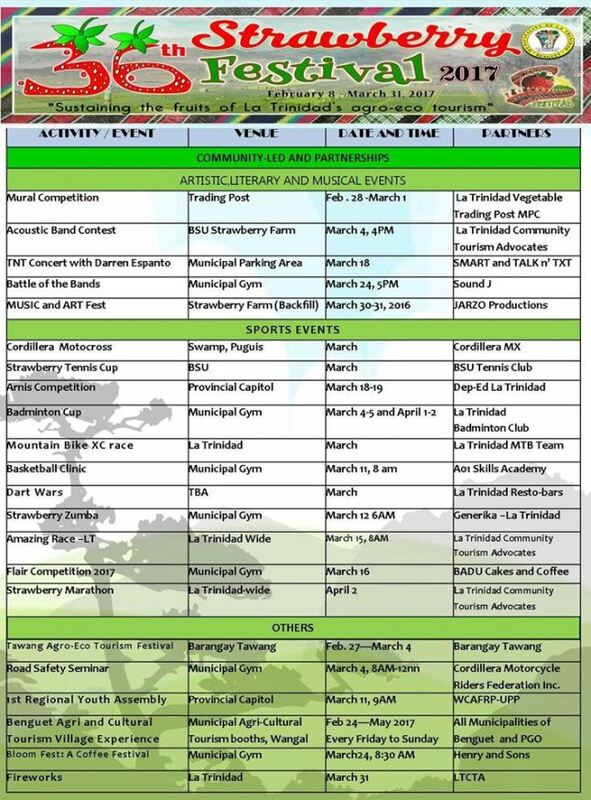 With its theme of "sustaining the fruits of La Trinidad's agro-eco tourism", a lot of the scheduled activities in the festival revolve around the town's status as one of the agricultural and tourism centers in the north. File photo by The Cordilleran Sun / Daniel Feliciano. Image source: Valred Olsim via the La Trinidad Tourism Facebook group page.